A portal opens in the courtyard of the Devil's Castle (a tiny walk-up). From it emerges a little girl who calls the Devil King "papa" and the Hero "mama." 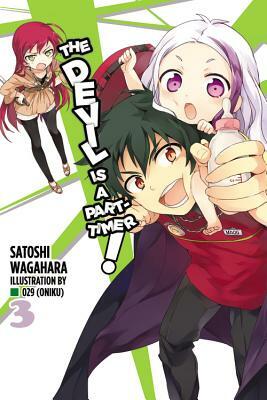 Ashiya and Chiho are shocked to discover that Maou and Emi had that kind of relationship, but nobody's more surprised than the two new "parents." Will Maou the breadwinner be able to make the grade when it comes to child rearing? And will this spell the end of the starry-eyed Emi's romantic ambitions?